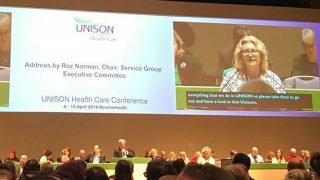 Mental health patients are facing bed shortages, longer waits for treatment and reduced support because of budget cutbacks, according to a new survey published today (Monday) by UNISON. More than four in five (83%) staff working in mental health surveyed said a postcode lottery exists in the level of care that patients receive. In some cases, people with severe conditions such as chronic anxiety and schizophrenia are unable to access help until they have reached crisis point. The findings are based on a survey of more than 1,000 staff such as therapists, nurses and social workers employed by mental health care services including the NHS and councils across the UK. The survey also highlights how increased patient demand for services, coupled with cuts in services have left those staff left behind facing intolerable pressures. More than four in five (85%) surveyed said they had experienced cutbacks, and nearly nine in ten (88%) reported an increased workload. 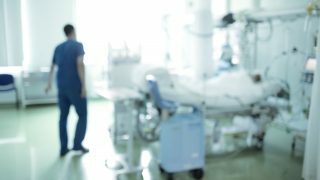 This has led to longer waiting times for patients before they can get help, according to more than half (52%) of staff, says UNISON. 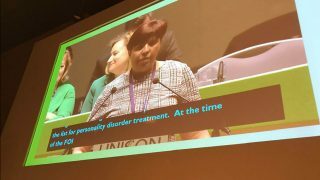 UNISON head of health Christina McAnea said: “The government has pledged £1.25bn for mental health but services are still having budgets reduced. 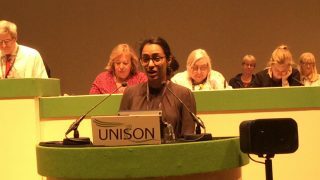 “No-one should have to wait weeks to get the support they need, and staff shouldn’t be placed under such pressure that they risk using mental health services themselves. “With fewer staff and more people seeking help, it’s no wonder that employees who dedicate their lives to helping others feel at breaking point. – The survey was based on responses from 1,161 staff working in mental health services. – The number of mental health nurses has fallen by nearly 15% from 45,384 in 2010 to 38,774 in July this year. This is according to a written parliamentary answer from health minister Philip Dunne. – Nearly two million people sought advice for mental health issues in 2015 according to the Health and Social Care Information Centre, up from about 1.2 million in 2010.